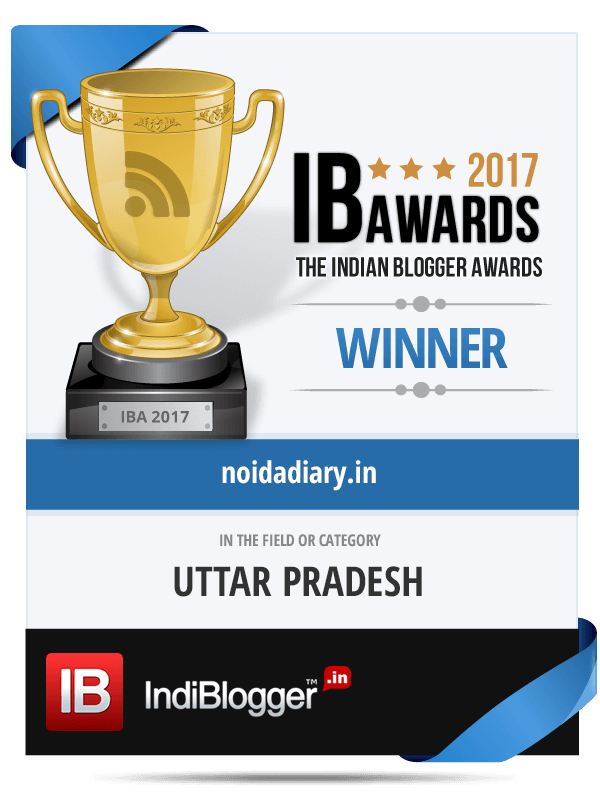 30th Noida Flower Show | The Event Report - Noida Diary - Rediscover Noida With Us! The 30th Noida Flower Show was inaugurated by Shri Rama Raman, Chairman Noida, Greater Noida and Yamuna Industrial Development Authority on Friday, February 26 in the evening at 4pm. The theme flower of the Noida Flower Show – Cineraria – displayed in a beautiful arrangement of pots with colorful blooms was a sight to behold. The 30th Noida Flower Show was a big success with 70 Stalls, 65 participants, and 7000 entries received. The concluding day being Sunday saw a footfall of over 5000 garden enthusiasts. Prominent Participants included Noida, Greater Noida and Yamuna Industrial Development Authorities, Private Nurseries, NDMC, MCD, Bharat Petroleum, CMDR, Rajiv Gandhi Smriti Van, Kumar Mangalam House, Hero Motors, LG, NIFFM, Hero Moto Corps, DS Group and DPS and Sommerville Group of Schools. The Floriculture Society of Noida had engaged the visitors in a session on composting and organic gardening. A demo on Sunday was given by the Floriculture Society members on making organic manure and pesticide from fruit and vegetable peels. The society members encouraged visitors to join their green mission. The organizers ensured to inform visitors about the plants helpful in warding off polluting gases and help keep our environs clean. Placards with information on the medicinal plants and herbs was displayed at the flower show. People in large numbers attended the flower show appreciating the colors and smells of spring. The Noida Flower show provided a unique opportunity to green enthusiasts to appreciate over 600 plants – seasonal, annuals and perennials – in their full glory. Selfies and group photography was a common sight. While some shutterbugs were keen to take close up shots of these spring beauties. Highlight of the inaugural day was pots and spot gardens. Flower arrangement and vegetable carving competitions were lined up for the second day of the flower show. Noida Flower Show was gardeners’ delight with a variety of foliage, flowering, fruit and vegetable plants, herbs, ornamental plants were put up for sale. Pots, manure, garden equipment and along with it advice on plant care was easily available to the green thumbs of Noida. Food court pavilion had stalls serving variety of delectable quick meals. Evenings were marked for cultural performances. Painting and Dance competitions were held on final day of the Noida Flower Show. Some of the prize winners of the coveted categories at the Noida Flower Show. The Chief Guest for the closing day was Shri Sushil Chandra Tripathi, Retired IAS Officer, Former Secretary to UP Govt and Govt of India. The Flower Show concluded with prize distribution to the winners of the 30th Noida Flower Show and the various competitions organized during the three day event. 500 Dracaena plants were distributed to the children participating in the painting competition. For more information on Noida, do hit the “Subscribe” button. wow ! Great Exhibitions to tell about the love to flower of Noida Peoples . True…it was a great flower exposition with a wide variety of flowers. Residents of Noida participate in this flower show every year with lot of enthusiasm. Lovely clicks, Bushra. 🙂 Cineraria has medicinal values too. It's one of the ingredients of many eye drops. Good participation by people. The ones held here are jam packed. Thanks Arun! Have a lovely day! Yep…it's a lot fun. Thanks Archana! Being the last day people were more busy shopping plants. Some bargains were a steal:) Thanks Indrani for the kind words! An amazing event. Just what our environment needs. Imagine the number of people going back home with a sapling or a plant pot 🙂 Beautiful pictures Bushra. What a mesmerizing ambiance.. I wish I was there! Hey Maitreni! It is a nice event to be part of…i like these pretty flower shows. They take you a step closer to nature here in the urban landscapes. Have a great day! These are some lovely colors! It's fun to see them all in one place! Thanks Betty for the nice words! Have a great day! Thanks for sharing with us in Our Beautiful World. AriadnefromGreece! Thank you for stopping by Ariadne! The flower shows are truly a wonderful sight. Thanks for visiting by! Wonderfuls…isn't it?! Thanks Mummy Travels for dropping by. Have a great day! Thank you Supermum! Have a great day! What an absolutely stunning flower show. So much vibrant colour everywhere. Very colorful…ya 🙂 Thanks for dropping by. Have a great weekend! True…there were garden displays at the flower show which were so awesome anyone would want to replicate. I have started a potted herbal garden at my place. Thanks for coming by. Have a great Sunday! Absolutely…great ideas, tips and shopping is what i look forward to in a flower show. Thanks for visiting by. Have a great day! I love them too 🙂 Have a great day Bumble Bee Mum! I bet you could almost get drunk on all the delightful sights and smells! What a marvellous event! Definitely great to visit for all flower lovers. Many thanks for contributing to the Travel Tuesday meme! Love purple flowers. I love all shades of purple in flowers. Must be a fun event. Ahhhh, the sea of blooms. I bet it was a terrific day. Great display of colors. The first photo is amazing. Yes..it is a great event. Thanks for hosting. Have a great day! SO aptly put in words. One does get drowned in the beauty of the flowers. Many thanks for hosting the wonderful link-up blog hop. Have a great day! Thanks for the kind words, Riitta. Have a great day! Yes, Lisa. It was a fantastic day. Flourish of color all around. Thanks for being here. Have a great day! Thanks for hosting. The garden shows are vibrant. I love garden shows even though I don't have a garden anymore. I do have my camera though! I love flowers! I have not been to an event like this in years. I would like to attend an orchid one.